When our hands rub two sticks together, that produces a fire that will eventually cease, but this fire does not come from anywhere to the sticks when it first begins to burn them, and does not go anywhere when it goes out. Fire is empty of coming and going. Similarly, ignorance, clinging to the belief in self, mental afflictions, and suffering do not come from anywhere and they do not go anywhere. We can apply this to the experience of dreams as well and see that whatever appears in dreams, whatever happiness or suffering, it does not come from anywhere and it does not go anywhere. In the very same way, all phenomena are empty of coming and going. 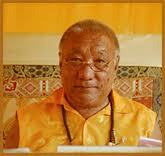 Khenpo Tsultrim Gyamtso Rinpoche, Sun of Wisdom, p. 66.